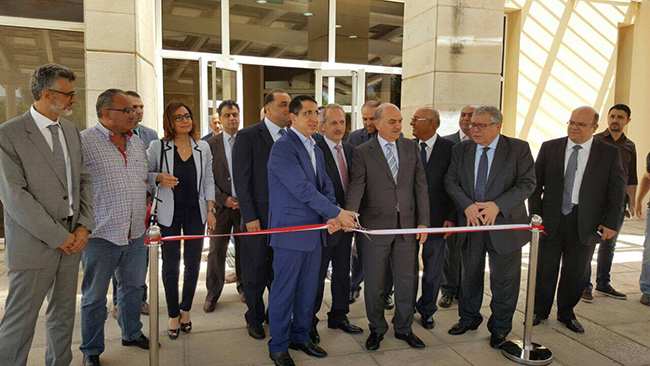 Under the patronage of HE the Minister of Industry, Dr. Hussein Hajj-Hassan and HE the Minister of Energy and Water, Mr. Arthur Nazarian, and in the presence of Dr. Esmat El Karadsheh, the coordinator of the Eastern Mediterranean Branch Office of ENPI CBC MED, the Industrial Research Institute inaugurated the Building Integrated Photovoltaic Pilot plant that was implemented by EU funded project FOSTEr in MED in the framework of the ENPI CBC MED programme. 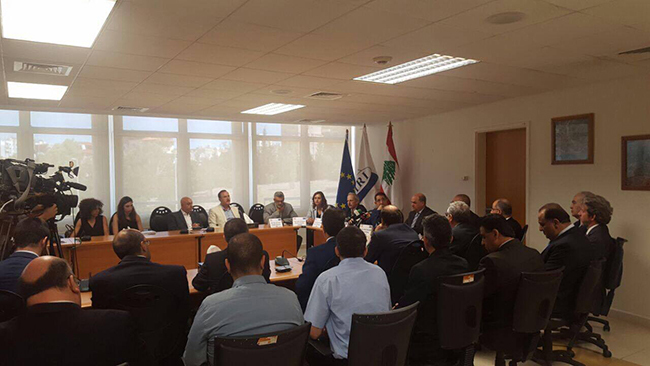 After a welcome note by the manager of the project in Lebanon, Mr. Naji Abi Zeid, where he stated the managerial and components parts of the project namely its multilayer approach, the event started with a series of speeches that stressed on the significance of such projects in Lebanon. 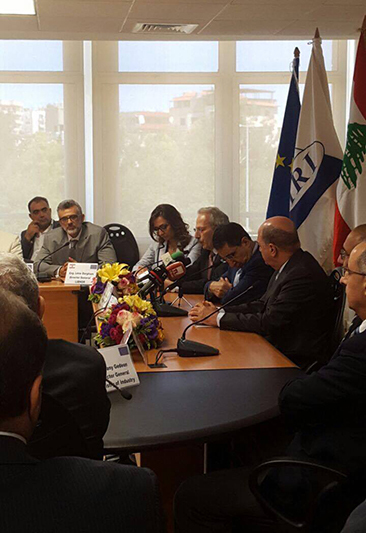 “We have been working in close collaboration with the European Union in order to explore and test different solutions concerning renewable energy, and the best is yet to come”, said the Director General of the Industrial Research Institute, Dr. Bassam Frenn during the event that gathered key professionals from the construction and renewable energy field. During the event, Dr. Talal Salem from the Technical and Scientific Committee of FOSTEr in MED, presented the specificities of the pilot project: “We thought of a specific design where the installed solar panels can have many functions at the same time, i.e. offering a cooling shade to the interior of the building and obviously providing the building with solar energy power.” A short video https://youtu.be/SOhtVhZaFpw was then released showing in brief the several accomplishments of the project. 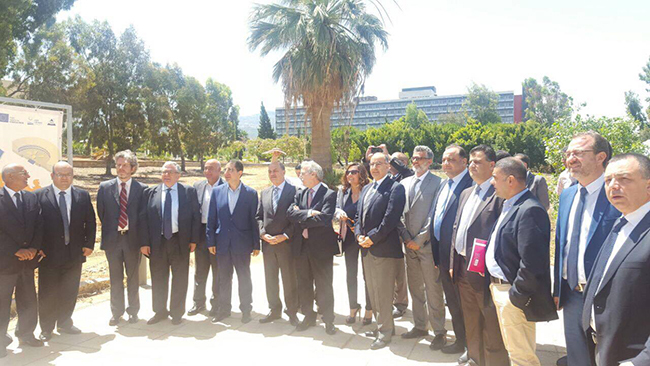 The event was followed by a site visit and a meet and greet brunch during which Dr. Elias Kinnab, member of the Technical and Scientific Committee and Info Point Administrator of the project shared technical details of the project with fellow professionals. “It is our duty to make this project replicablue”, commented Dr. Kinnab. 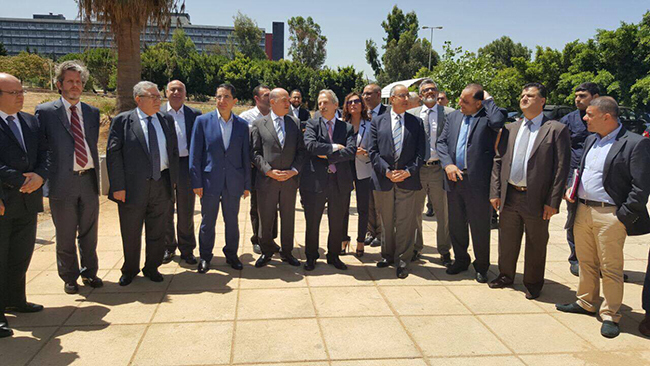 “We might be among the first to have exploited the Building Integrated Photovoltaic technology in Lebanon but we definitely don’t want to be the last. One of the main objectives of this pilot project is to be a reference for future projects, and we hope there will be many that will follow”.